THE B-MOVIE NEWS VAULT: NEW DVDS & BLU-RAYS FOR 07/07/2015! Hey everyone! Hope you all had a fun and safe 4th of July, while celebrating 'Murica's 229th birthday! We're now a week in to July 2015, and already us collectors are in deep, deep trouble. Scream Factory has just kicked off their SUMMER OF FEAR II sale, with weekly deals on specially selected blu-ray titles, plus freebies, contests, and new title announcements. Though their prices are a bit higher than the last sale, they still beat out Amazon.com's prices, and will ship you free Scream Factory drink coasters with your order! 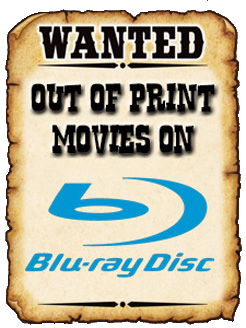 CLICK HERE to start taking advantage and fill in those holes in your Scream Factory collection! There's some other cool stuff worth picking up this week, so scroll down to see what's new!